Syfy has chosen not to renew Nightflyers for a second season. The space horror-drama based on the novella by Game of Thrones author George R.R. Martin will end as a one-season limited series, per THR. 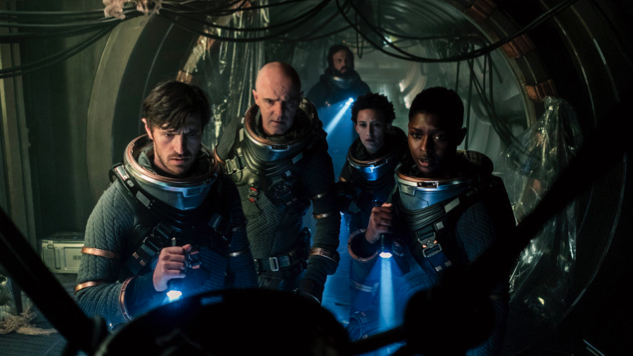 Nightflyers was picked up straight-to-series after Netflix came on board as a co-producer along with Universal Cable Productions. The 10-episode series debuted across all Syfy platforms in December, but it consistently struggled to hit its viewership targets despite ratings-boosting efforts like weekend marathons and limited commercials. The contracts for the cast were also set to expire, and one star, David Alaja, had already been cast in the CBS pilot Under the Bridge, putting the future of Nightflyers into further uncertainty. The TV adaptation of Martin’s novella was written by Jeff Buhler, who also served as showrunner and executive producer. Nightflyers’ cast includes Jodie Turner-Smith, Maya Eshet, Gretchen Mol and Eoin Macken. The long list of executive producers also includes Martin, Brian Nelson, Mike Cahill, Andrew McCarthy, Gene Klein, David Bartis, Doug Liman, Alison Rosenzweig, Michael Gaeta, Lloyd Ivan Miller and Alice P. Neuhauser.